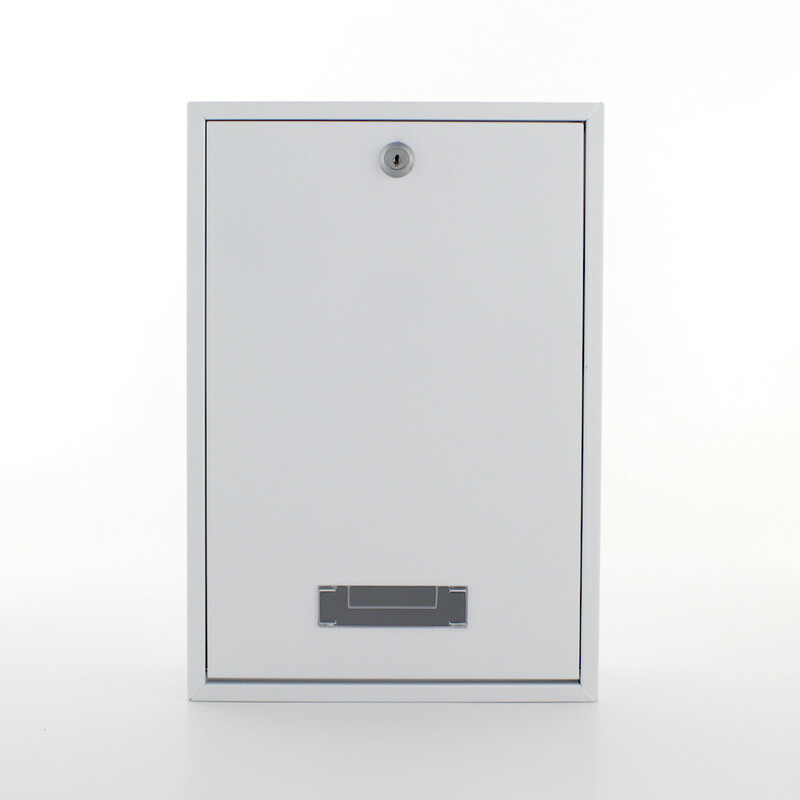 The White Pro First Mail Box 110 mailbox is suitable for door installation. Made from powder-coated sheet steel, the letterbox captivates with its clear forms and functional design. Its generous slot size allows for easy handling. In order to assemble your mailbox, the right fixings are included in your delivery. The White Pro First Mail Box 110 Mailbox is made from powder-coated sheet steel for installation indoors. This mailbox has a rear letter slot designed for use on the inside of a front door. Your own name badge is simply in the name tag holder, push in the space provided and it is perfectly protected from moisture.